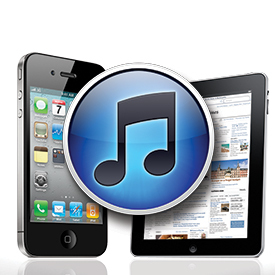 Apple iTunes one-stop shopping has just gotten a little sweeter. Wal-Mart is offering a 20% discount on the $100 Apple gift card, which drops the price to $80. The electronic card is sent via email, either to your own personal account, or to a friend, marked as a gift. Each card has a unique iTunes Store code, where you can redeem it for music, movies, apps, TV shows and more, which can all be synced to your iPhone, iPad, and iPod. Customers will receive a pin access email within a few minutes of ordering, however Wal-Mart said it could take up to 48 hours. A reviewer on the site said that he has received codes from Wal-Mart in less than 30 minutes, that this time the code has taken more than 22 hours. “The sale price makes this product an awesome deal for anyone who regularly buys things from iTunes and Apple’s other online stores, but be aware that it might take a while for the code to arrive,” luke214 said. Other customers reported mixed results, some receiving their code within 15 to 30 minutes, while others continued to wait through the 48-hour period. Wal-Mart did not provide a timeline for the deal, which features reviews posted as early as June 13. Some July reviews referenced an $85 card, meaning Wal-Mart has shaved even more off of the card’s price in the last month. In May, Gizmodo reported the same $80 for $100 gift card offer from Best Buy. ← Apple? Comcast? Apple TV?